This is a MS-13 portable totalizing anemometer with 4 cups, made in the former USSR. I have 2 of them, one made in 1966 by GMP, the other made in 1975 with an unknown (to me) logo on it. Gidrometpribor Safonovsky apparently still sells the MS-13. 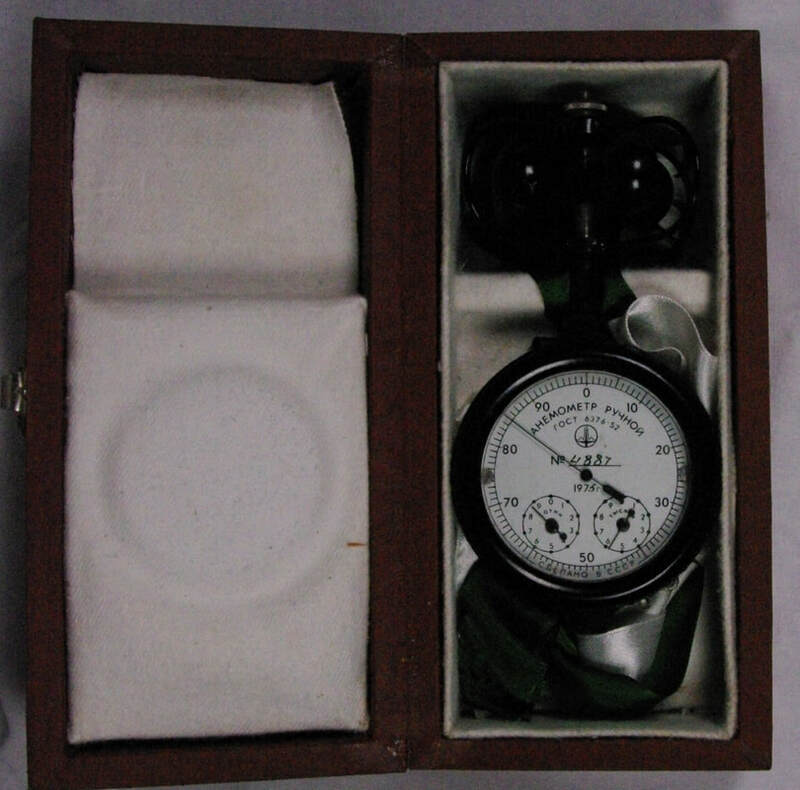 It is a totalizing anemometer in that it measures air flow in meters. If it is operated for one minute, the change in the dial readings indicates the average air speed in meters per minute. It has a lever to start and stop the dials, but no reset lever to set them to zero. They work ok but the starting speed seems high on mine. It is shown in the undated multilingual Soviet Trade Exhibition Catalog available on this website. Go to Gidrometpribor Safonovsky catalog page.